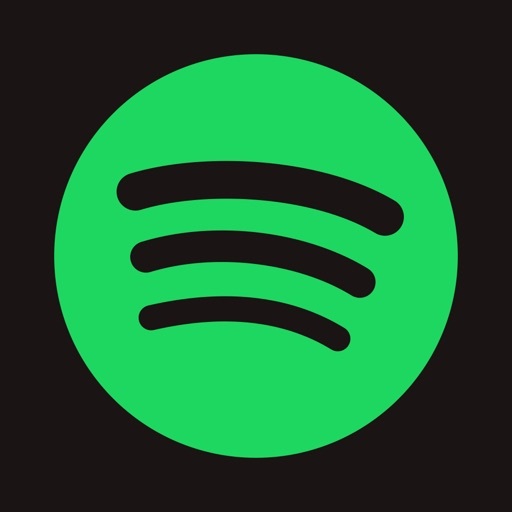 Spotify is an affordable app that allows an individual to listen to music in a quick, easy manner, which makes it one of the best apps for any device.The app works great on computers, Iphones, and Ipads. 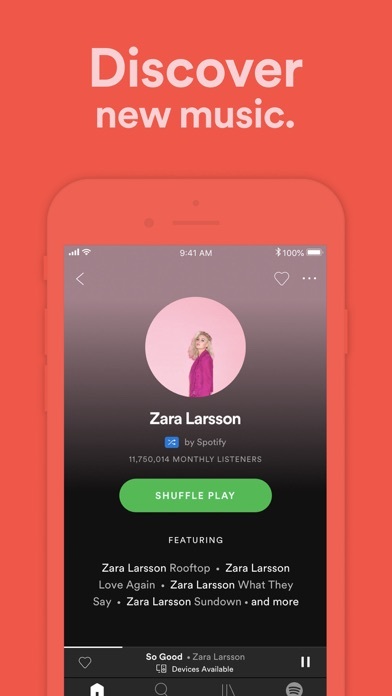 Beginning with the apps simplicity, it ensures that there is no hassle when adding, or listening to any music to fit any individuals needs. 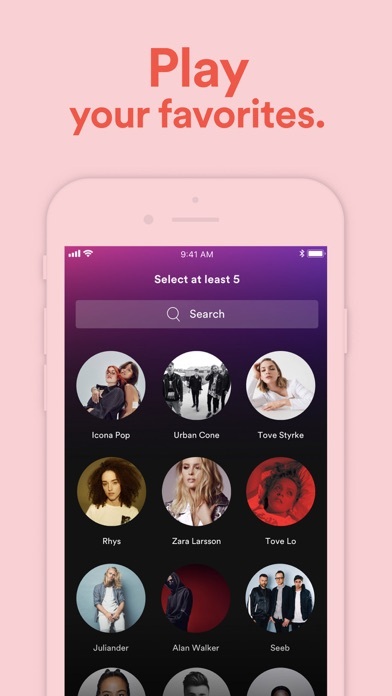 Upon selecting the app, the main home screen will appear which will show the latest hits and most modern albums that are available for their audience to save, and add to their personal playlists. The sections themselves, are all categorized according to what type of genre, and popularity of the album or song. 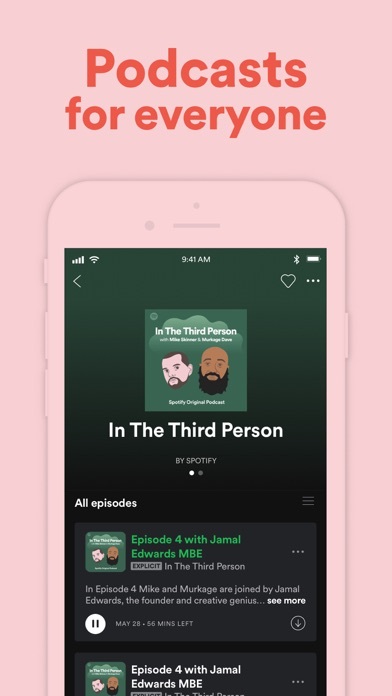 On the top left corner, there are three lines that bring up options to search, browse, visit the home page, listen to the radio and view, “your library”. 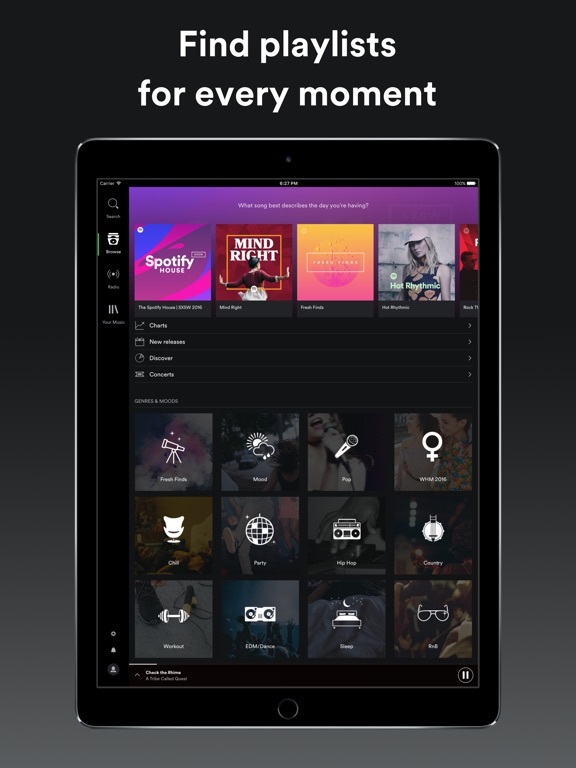 Upon the browse tab information such as charts that show the most popular songs global, new releases, shows, concerts, and a discovery tab. 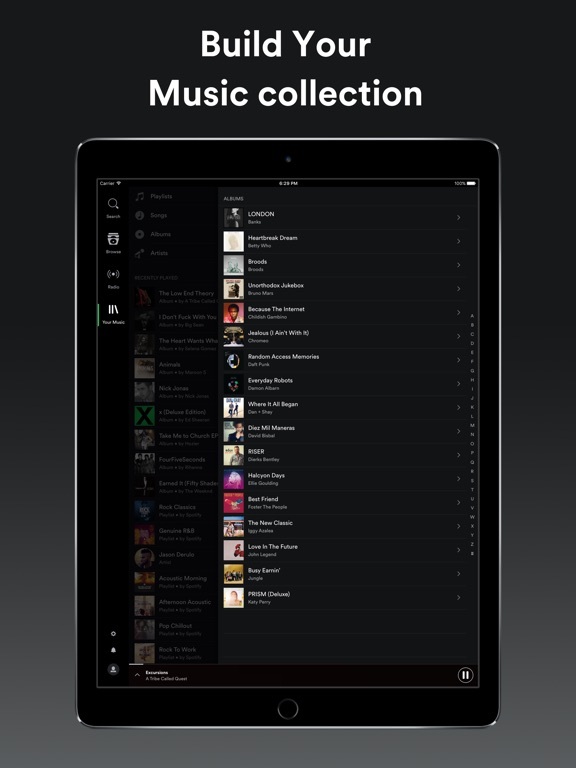 Also, there is a section below that, which has several selections for genres and moods. All ranging from chill, party, pop, hip hop, country, running, workout, Dance, sleep, and many other sections to fit any individuals desire. 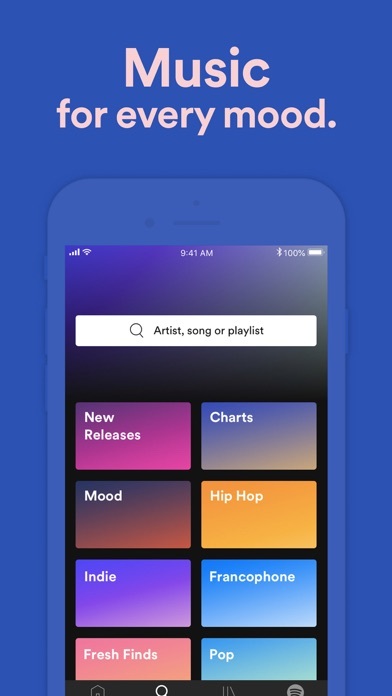 Also, there is a radio tab which allows the user to search any song, genre, or artist to have a personalized radio perfect for them. 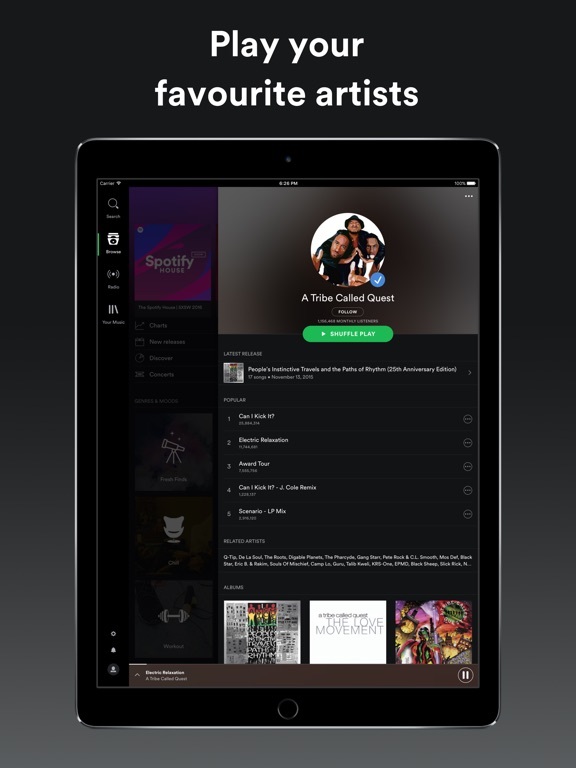 To preview a song, it is as simple as pressing your finger down and holding it for a few seconds. 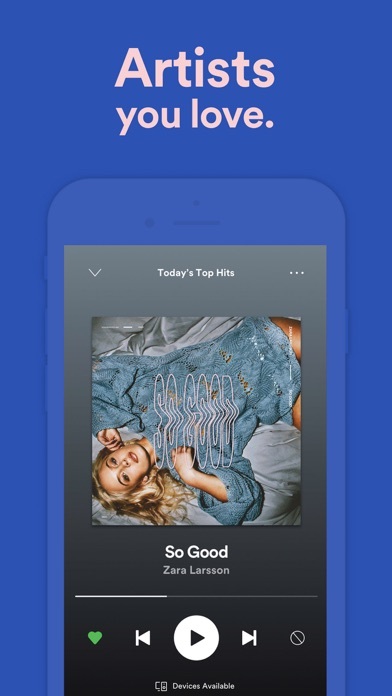 To save any song to a playlist, a user simply searches a title, chooses their song, and presses a circle with three dots in it. 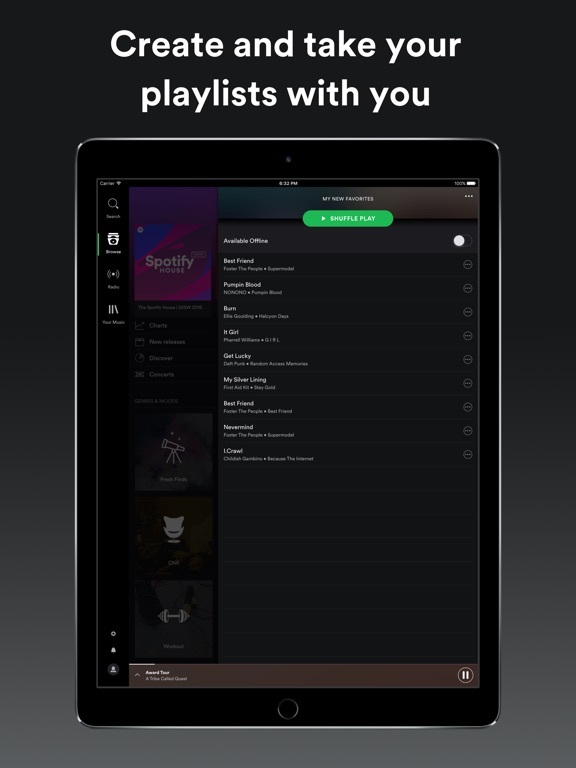 Once that is selected, several options appear and it is as simple as saving to a personal library, or adding to a playlist. 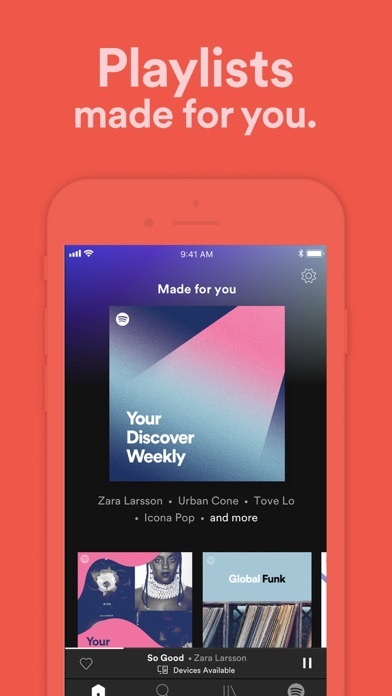 A song can be skipped, and premium can be bought for a small fee of $4.99 per month. 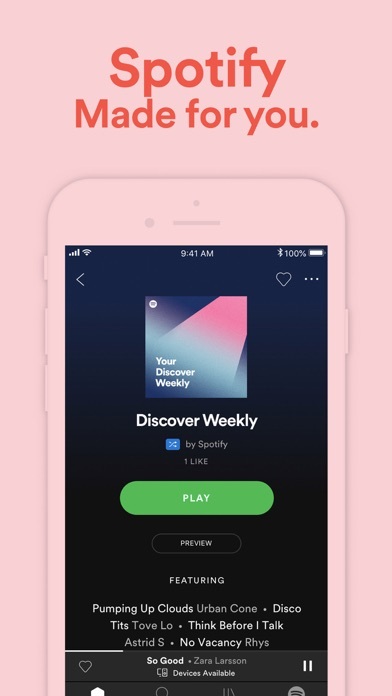 Through premium, any album or song can be downloaded and listened to at any time, along with music, unlimited radio, and even music videos. 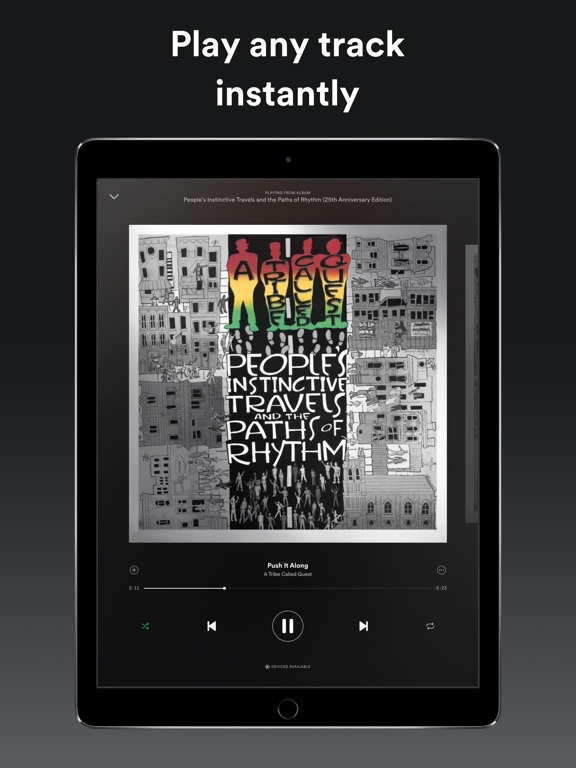 Through this app, along everything to do with music is virtually possible.